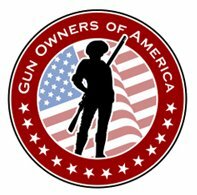 Looks like possibly another state will be joining others and realizing that the 2nd Amendment is essentially already a CCW license! I hope my home state of Indiana joins the ranks of the states that have Constitutional Carry. INDIANAPOLIS — Supporters and opponents of eliminating Indiana’s license requirement to carry a handgun in public appear to have had little impact on the members of a legislative study committee examining the controversial issue. For nearly 10 hours over two meetings, a variety of studies, statistics, reports and anecdotes were presented to lawmakers in an effort to persuade them of the benefits of permitless carry or the perils of removing state oversight of who can have a loaded weapon on the streets. The first meeting was held Aug. 22 and the second Thursday. In the end, seemingly no research result remained uncontested or undisputed as pro- and anti-gun groups continuously directed state representatives and senators to competing data that reinforced their already existing policy preferences.